Our homes are where we go to unwind, to rejuvenate, and spend time with those we love. With carpeting – which has consistently kept its place towards the top of the nation’s most popular flooring – one can always be promised a soft landing. Carpeting is about comfort; it’s about endless decorating possibilities, too. Those possibilities are currently in the thousands, with an endless array of materials, piles, patterns, colors, and fibers to choose from, with options to truly suit every need or budget. At Georgia Direct Carpet One Floor & Home you’ll discover the region’s finest inventory of carpeting available. We carry all the most popular flooring selections, and our team of experienced flooring experts will help you navigate the tough process of choosing a carpet to fit your lifestyle. We even have pet-friendly, kid-friendly, and stain-proof choices. 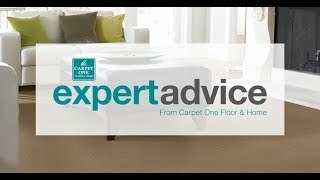 Let’s learn more about carpeting and why it’s always a smart choice. Are you considering a carpet installation for your upcoming renovation? Carpet is always a great choice, but it’s also extremely important to understand the meaning of carpet pile, or the density of a carpet’s fibers, as well as the different fibers themselves. Fibers are made in a wide variety of materials, with each one offering its own unique attributes. Fibers determine carpeting’s appearance, texture, and durability. While synthetic fibers like polyester and nylon are soft, yet strong, some natural fibers, such as wool, tend to last even longer since they are inherently resistant to mold or mildew. Frieze carpets are very casual and soft. Their long, twisted fibers create dimension underfoot. Level loop carpets are dense short-looped. Their low profiles works well in heavily trafficked areas. Patterned carpets are looped and cut at various heights for a formal appearance.Their patterns tend to be most unique. Textured carpets are more casual appearing, with long fibers. Their rougher texture works in many different settings. Plush carpets feel just like velvet fabric and have a formal look about them. Their soft, thick fibers provide ample cushion. Simple to install, carpets keep warmth in and chills out, while instantly transforming your room. Carpeting is available in a full range of prices and functions, addressing all your needs that may arise. Georgia Direct Carpet One Floor & Home carries all your favorite carpeting and rug brands, including some exciting Carpet One exclusives that aren’t available elsewhere. Among the brands we carry are Karastan, Tigressa, and Relax its Lees. Visit us soon, and learn what beautiful, bold carpeting can do for your property and comfort. Are you looking for something specific? Search our current inventory and find a carpet that’s your perfect fit. Do your part, and your carpeting will stay clean and pristine, for years to come. Learn about the different types of carpet and carpet fibers. We're your local carpet experts.